The car has been sitting around not getting much of anything done to it other than using it as a table. 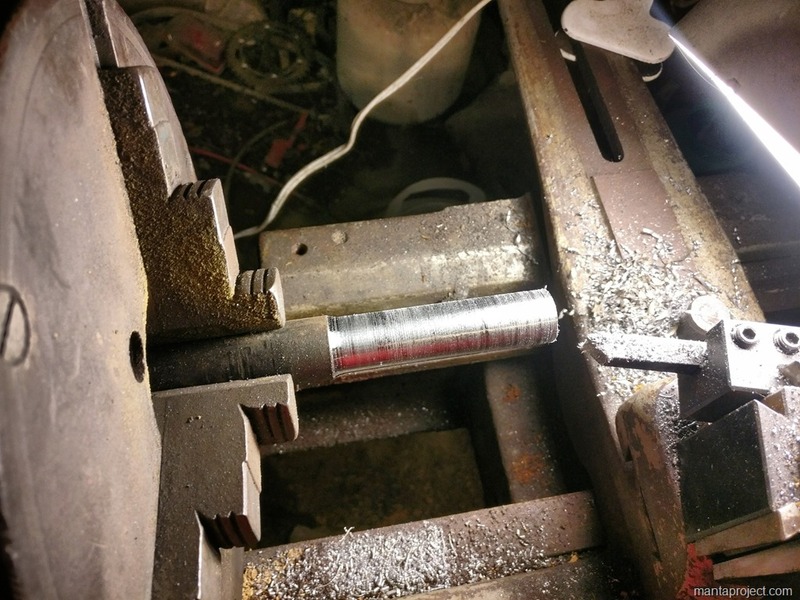 The problem I have is if it is in the main part of my shop it is in the way of anything else I need to work on but once I put it off to the side it just gets forgotten. I needed a way to move it around without having to pull it with something else. I decided to rig up some sort of electric drive to it. 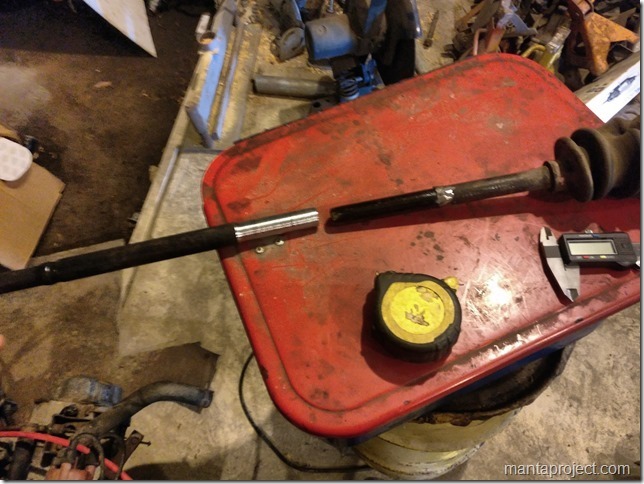 I started by looking at welding a larger starter motor to the input shaft of a spare transmission. It would have been messy but would have worked good enough to let me get the car into place by myself. I ended up using a spare transmission and just used a stock Metro starter motor and just put a spare engine block on it to hold the whole thing in place. It looks terrible but it works. Before making the car move though I needed to also make it stop. 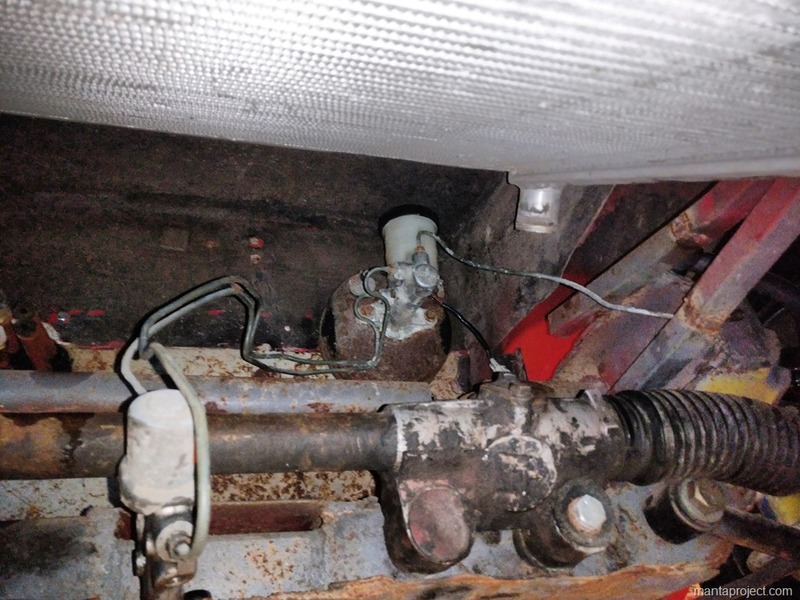 The brakes are already in place and the pedals and master cylinder were also installed. 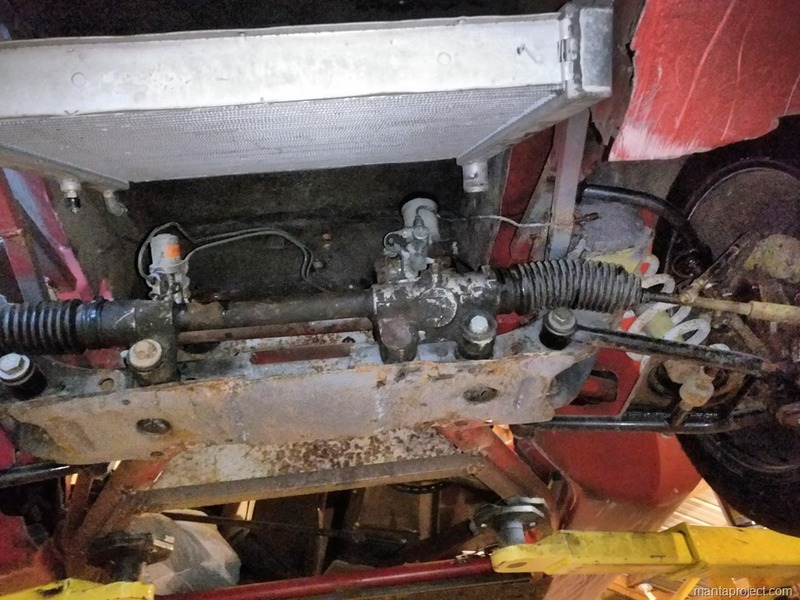 I just needed to run new brake lines and get it all connected up. The only hard part is filling the master cylinder since it is right against the hood. I didn’t have anything to hold the brake lines down but since the car is only moving a few feet it will be good enough for now and they will probably have to be taken apart later anyway. 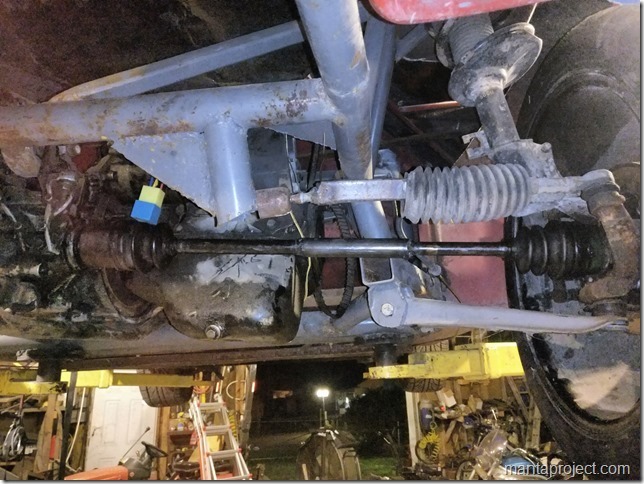 After getting the brakes working I needed to actually get the passenger side axle actually built. I put it together before with just some mild steel to hold it together while I was building it. But it would need some real strength to actually hold power. I ordered a 1/8 inch thick steel sleeve that could handle the forces and turned the axles down to be a tight fit in the sleeve. After turning both axles to .06mm larger than the ID of the sleeve I pressed the whole thing together and reassembled the axle. It fits good on the car now and is nice and straight with no wobble or imbalance I could see. With that all done and a relay to activate the starter. I wired it to the start position on the key for now but that is an annoying way to move the car so I will probably find a button and put on the gas pedal to activate the starter. With all that done the car can now be moved around the driveway and in and out of the building easily. Maybe that will give me more of a chance to work on it instead of just leaving it crammed in a corner of the garage.